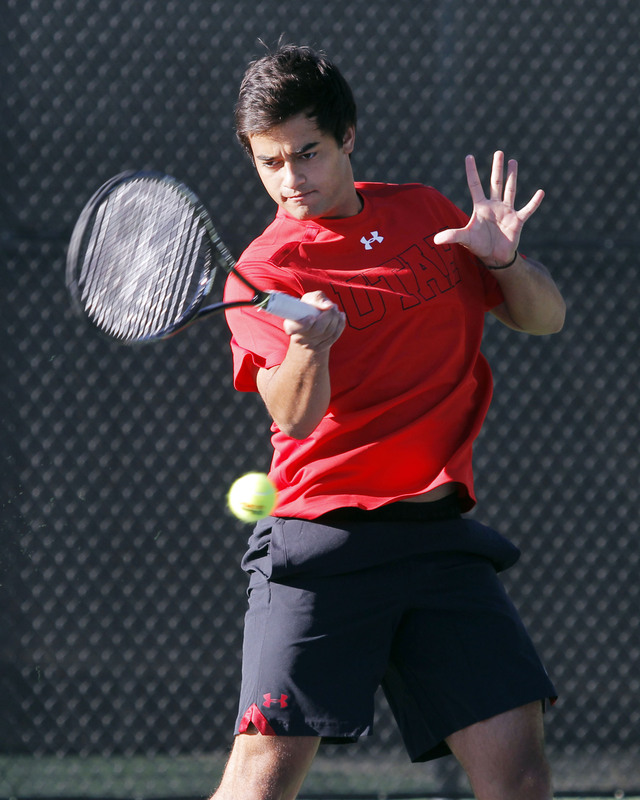 Las Vegas, Nev. – The 53rd ranked University of Utah men’s tennis team (12-3) defeated 70th ranked Marquette (9-6) on Friday, 4-3. The match was Utah’s second win of the weekend, as they won 4-3 over UNLV on Thursday. Utah opened the day of play winning at #1 and #3 doubles, thus clinching the doubles point. In singles play, Sophomore Matt Cowley cruised to a 6-3, 6-4 win over Marquette’s Trukov to put the Utes up 2-0. Senior Ben Tasevac and Freshman Patrick Mayer dropped their singles matches at the #2 and #6 positions respectively, but Slim Hamza put the Utes back on top, 3-2, after defeating Mamalat at #1 singles 7-5, 7-5. Senior captain Alejandro Medinilla clinched the match for the Utes after wining over Collins 7-6(5), 6-4, while Devin Lane narrowly lost the last match of the day to Dykema 2-6, 7-6(4), 7-6(6), settling the score at 4-3 in favor of the Utes. Utah has next week off in preparation for Pac-12 play. The Utes will host Stanford on March 28th and California on March 30th I]in Salt Lake City, Utah. This entry was posted in Schedule/Results and tagged Alejandro Medinilla, Ben Tasevac, Cedric Willems, Devin Lane, Marquette, Matt Cowley, Patrick Mayer, Roeland Brateanu, Slim Hamza, Utah Tennis, Utah Utes. Bookmark the permalink.